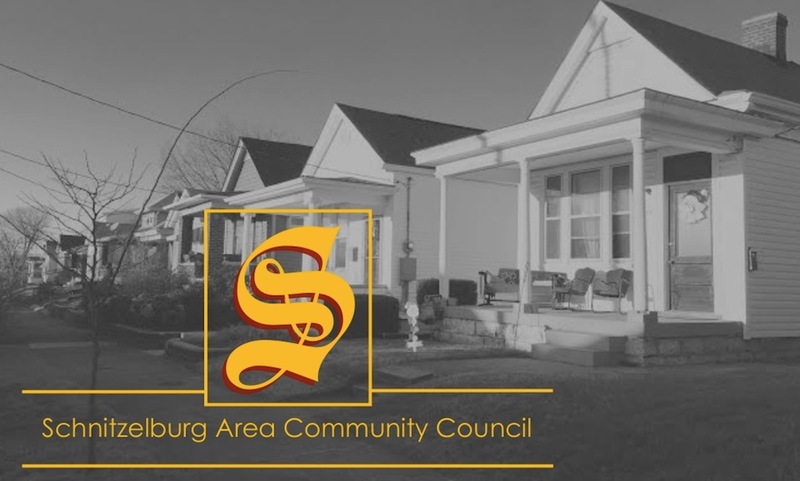 Schnitzelburg Area Community Council: Halloween in Schnitzelburg! 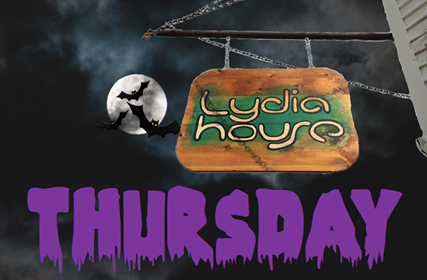 Lydia House will be hosting a fundraiser for Three Points and we invite you to join us for a devilish evening! We'll have spooky tunes from DJ Boogieman that will have witches dancing in their britches. We'll have ghastly games, including haunted put-putt. We'll have "finger foods" for you and all your fiendish friends. Come for the "boos": Falls City Beer will be our spooktacular special all night long, as well as a special witches brew on tap. We'll also use this event to unveil the preliminary design for our next mural since we didn't get the chance to at our rained out Block Party. A teaser for the mural, designed by Stephen Paulovich, is currently on the Three Points Facebook page! This is a free event for all ages, but you must be 21+ to drink. Sorry, boys and ghouls. Trick or Treat Maze at AmVets Post 9! 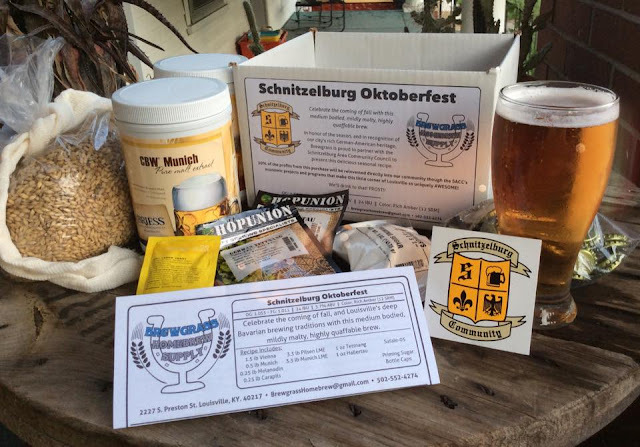 Germantown-Schnitzelburg Facebook Page Headquarters: Veterans, volunteers, and members of Amvets Post #9's Sons of Amvets and Ladies Auxiliary are gearing up for their 2015 Trick or Treat maze that they started 3 years ago to ensure the neighborhood kids had a safe place to trick or treat no matter what kind of weather mother nature brings us on Halloween. Spooky sounds, a trick or treat maze, candy and hot dogs will be ready for the kids. The Amvets Post #9 crew is asking all of it's members and the community to help out by donating bags of candy, spooky decorations, or funds to buy supplies for the trick or treat maze which will be held inside Amvets Post #9's Hall on Halloween night starting at 5:30pm. They're also asking for extra volunteers that can sponsor and operate a portion of the trick or treat maze by decorating an area and give out candy to the kids. Volunteers can also dress up in costume to make it a little more spooky and fun for the kids. There's a collection box for candy inside Amvets Post #9/Danny Mac's Pizza located at 1567 South Shelby Street in the Germantown-Schnitzelburg area of Louisville Kentucky. Before of after trick or treating at AmVets, stop by Dairy Del (it's just down the street!) to meet Olaf from Disney's hit movie Frozen!! The Cure will be featuring a Halloween party on Halloween night that features a haunted house, cover bands, a deejay, a circus side show, a costume contest, and a whole lot more. In true Cure fashion, it will probably be a wonderfully weird and wild time. The party starts at 9 pm and it's just $10! For more information, check out the Facebook event page. Not sure of what houses are giving out candy on Halloween night? Check out what houses will be dishing out sweet treats with Nextdoor's Treat Map! 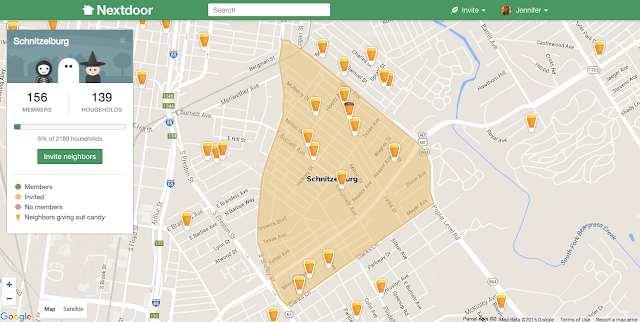 Register your house on the map and a candy corn icon will hover over your house to show people you will be home! 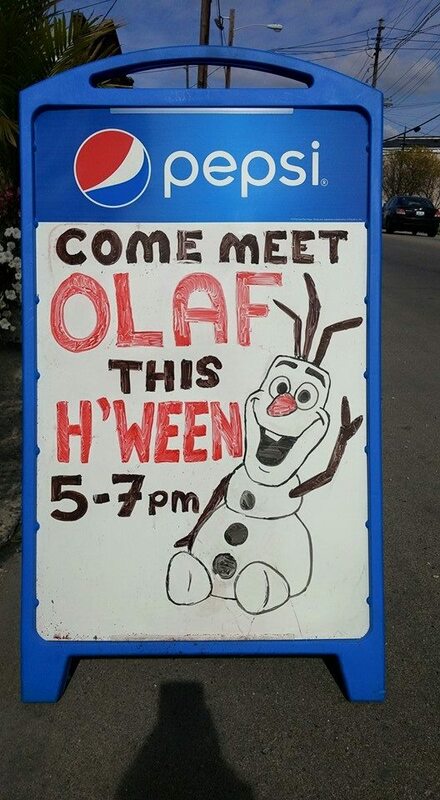 It's a great way to get to know your neighbors and keep the trick or treating local!